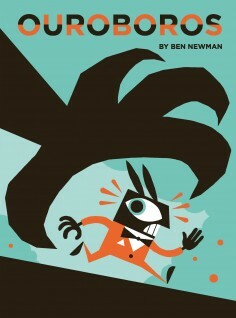 A very sharply turned-out (and extremely talented) young rabbit has been parading around the Nobrow offices. 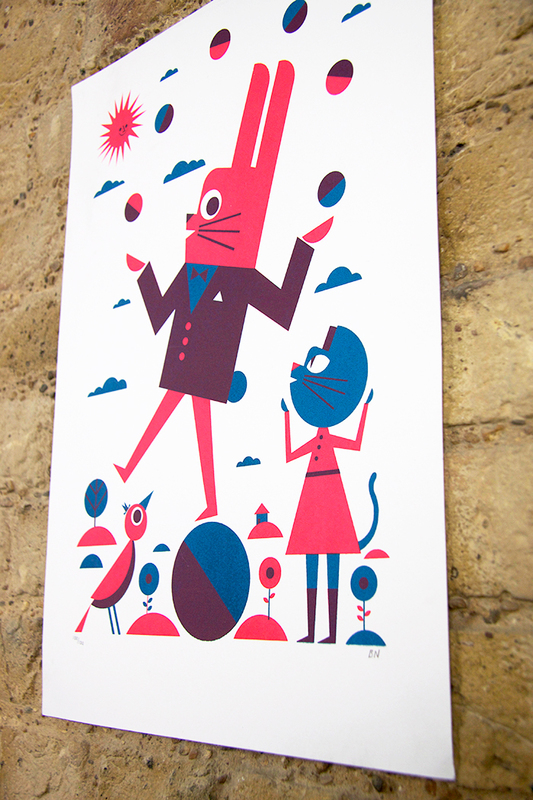 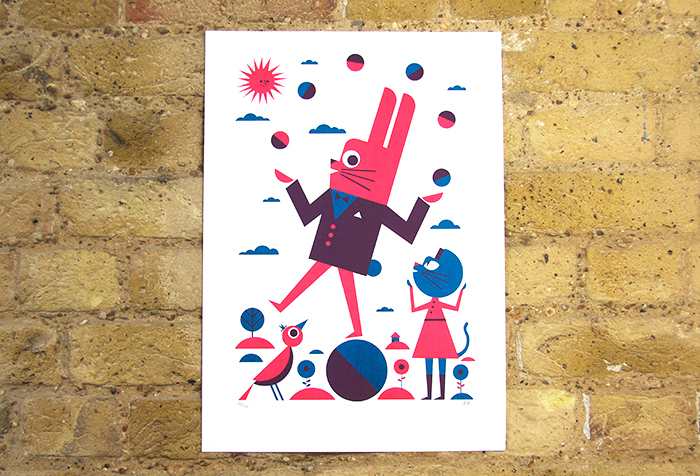 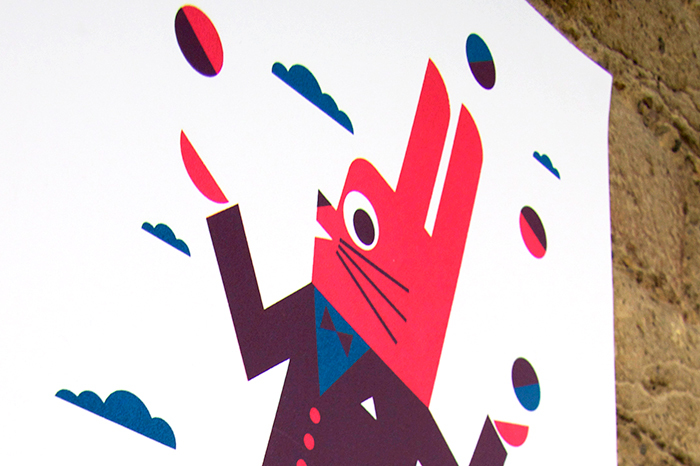 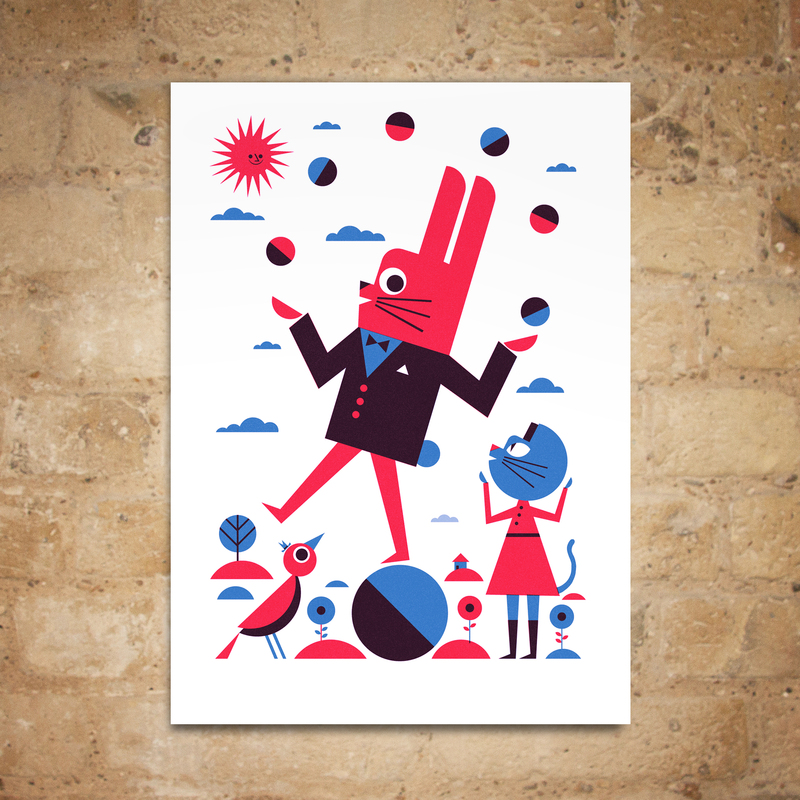 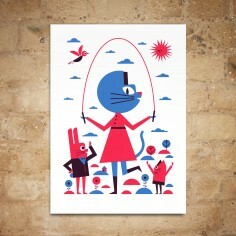 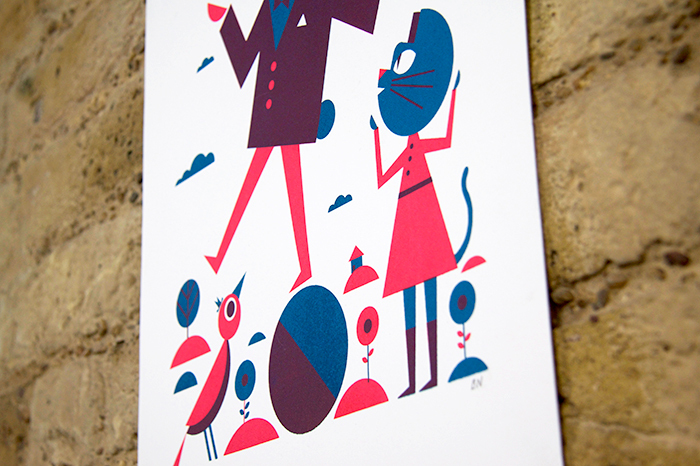 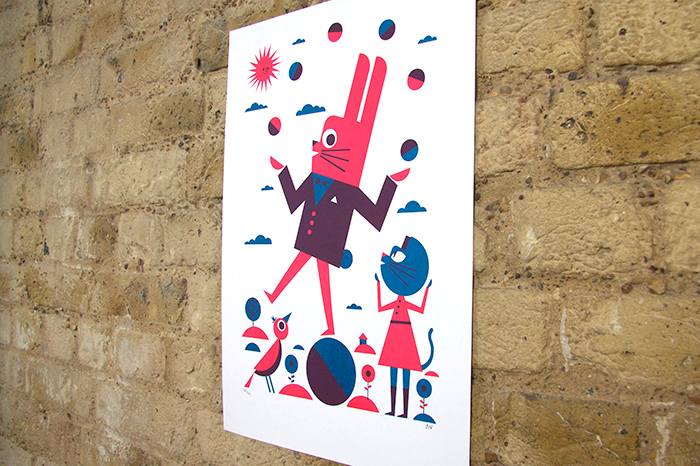 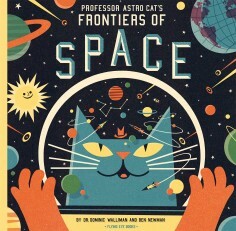 Bearing the tell-tale geometrical shapes and bright colours of artist Ben Newman, prints of this dapper juggling bunny and skipping cat are now available to buy online and in the Nobrow shop. 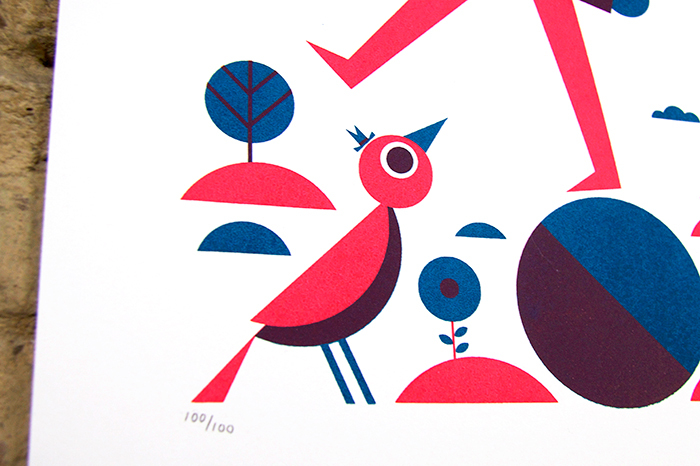 Screen-printed on the Nobrow Small Press in 2 colours on the finest Reeve’s BFK, 270 gram paper, this is a limited run of 100 editioned prints, signed by the artist himself.